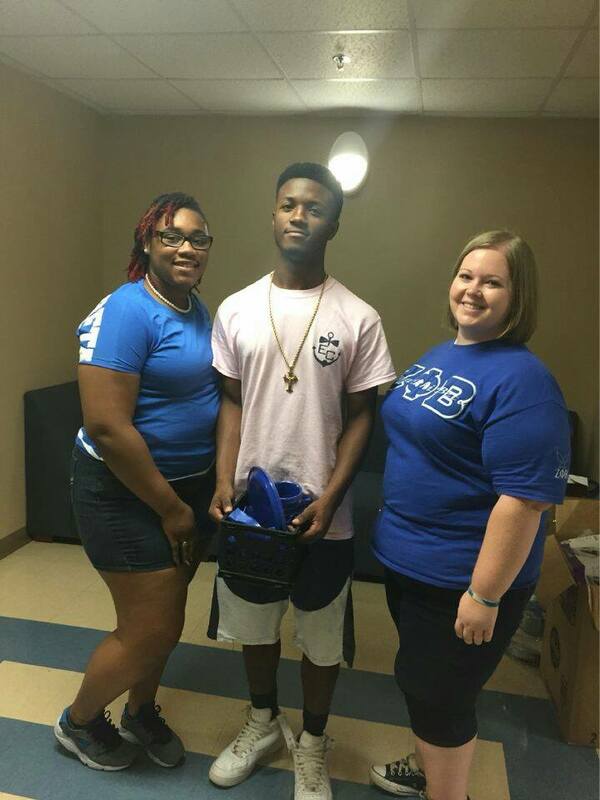 The Mu Mu chapter at Georgia Southwestern State University had the opportunity to help first year students move into the dorms on August 13, 2016. Soror Sarah Allen and Soror Crystal Thompson greeted new students and their families when they arrived early that Saturday morning with a smile and helping hand. The chapter members unloaded cars, helped take items to rooms, and surprised some family members of Sorors with welcome gifts. The chapter felt like it was a wonderful way to begin the semester and can’t wait to see what the rest of the year has in store!